In my twenty years in education, I’ve been on both sides of the professional learning table: as both a recipient and a provider. As a classroom teacher, I sat through countless workshops, which were irrelevant, one-size-fits-all and frankly, boring. More recently, I’ve provided professional learning in the form of 45-minute workshops in the high school cafeteria to three-day sessions. While I do my best to make my presentations engaging, research-based and practical, too often I walk away feeling frustrated. My frustration is directed largely at an outdated approach to professional learning: teachers who have little say in their own learning, a sage-on-the-stage delivery model and the inability to bring about change through short-term content delivery. When I stumbled across Jennifer Gonzalez’s Cult of Pedagogy podcast, titled “OMG Becky PD is Getting So Much Better,” I was hooked by the idea of alternative PD structures. 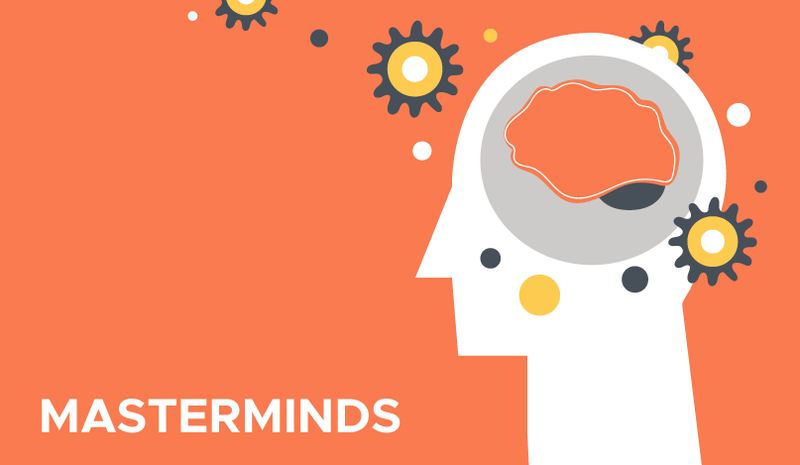 More specifically, I was intrigued by the idea of Masterminds: a small intimate group of educators who meet regularly in person or online to set goals, talk through problems, participate in book studies and hold one another accountable for growth. Determined to join forces with like-minded professionals who wanted collaborative conversation and actionable steps, I approached Participate and asked for the opportunity to lead a Mastermind. I envisioned using an online platform to invite teachers to come together for the sake of ongoing learning. With Participate’s support, I created a six-week Mastermind centered around student inquiry. This topic was broad enough to attract teachers at all levels and of all content areas; moreover, student inquiry seemed to be a hot topic–the theme of multiple journal calls, conference themes and social media conversations. Our Mastermind consisted of six participants, diverse in their teaching placements, career paths and school settings. United by a shared vision of lifelong learning, we met online for six sessions in January and February 2019. To begin our weekly conversations, we shared reactions to a common reading. Each week, a different member volunteered to be in the “hot-seat,” a time devoted solely to group-thinking about a particular classroom challenge or goal outlined by the participant. Each session ended with members sharing a personal goal for the week; the session next week opened with us checking in about our progress on our goals. This combination of support, collegiality and accountability transformed our professional development. At the end of the six weeks, we walked away with an expanded teaching community, new strategies to try out and a renewed energy for our shared vision of educational excellence. Learn more about dynamic professional learning here or dive deeper into Molly’s work in education.